Haha! Loved the intro and entirely true… I don’t think I have EVER bought with my own money sherry though my mother used to very occasionally have a bottle for a little late evening sip… a habit she has long since lost. And I completely agree with you that the world of whisky will be a much poorer place without some lovely sherry barrels to finish in! My mother was about the same – though she used more often for cooking than anything else! Given the choice of a sherry finished whiskey and one without – I’d always go for the former. Done properly it adds gorgeous aromas and taste to the dram – done by half and you only get a mere whiff – still better than nothing. Roll out the barrels! While here in Aus we are doing some fine things with port barrels and wine barrels, it’s hard to beat a European oak Pedro Ximinez or Oloroso. I agree with your sentiments completely! I’ve been hunting down a bottle of this for AGES! (alongside Balblair) I just got done doing a review of Cardhu 12 and was wondering if you guys did a post on it or hard thoughts on it? It’s worth tracking down. That and the older expressions… As for the Cardhu, I’ve only had it the once and it didn’t particularly grab me. I currently mostly associate it with Johnnie Walker, which is perhaps a bit unfair. Anyway, I look forward to checking it out! Gents, I understand your lack of interest in Sherry, but you should sometime visit this place: http://antiguacasadeguardia.com/ – Possibly the best Sherry bar in the world. I doubt it’s changed since I visited it around 1990. Your tab is (literally) chalked up on the bar. Cheers for the tip. I’ll put it on the bucket list! Thanks for sharing and happy waffling! Cheers man. I must say I’m a bit of a fan – I’ve got an unopened bottle of the 15 YO ready to go. I am looking forward to that one very much! When I finally crack it, I’ll let you know what I think! Wonderful 🙂 I am on the hunt for a cask strength Coal Ila, 12 YO. I had a good bottle, but drank it. Looking forward to drinking a nice from is great! Make sure you let us know! The 15yo is certainly a treat. I’m just going to have to make up an occasion to open it then! Thanks for the comment! Does anyone know how much an unopened bottle of 12 year old Glenbronach single malt whiskey would be. This was purchased in 1980. Thank you. 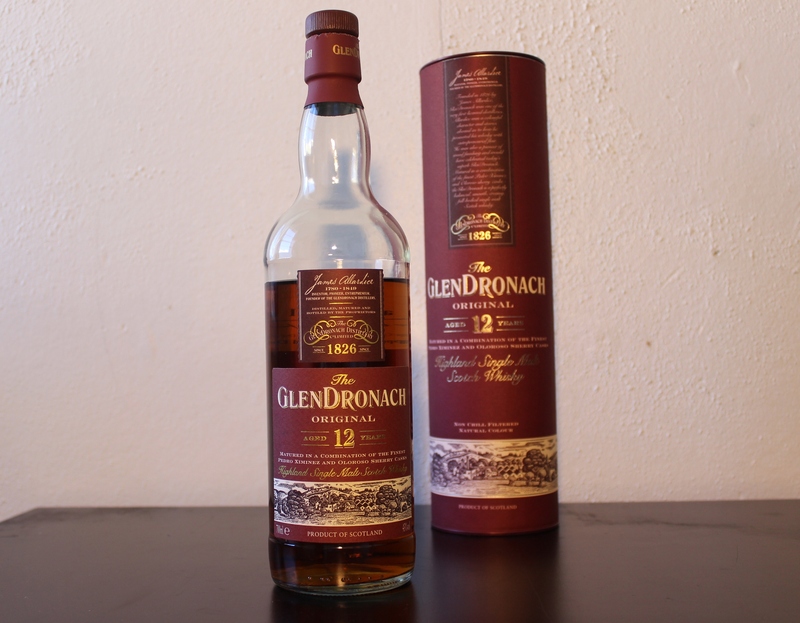 These days a Glendronach 12 Year Old would be worth about US$50 though a bottle from 1980 is a completely different beast. It entire depends on the collector but I’d guess somewhere in the realms of US$200-$400. I’m Australian so can add on another 20% to the price. Cheers government! I hope that goes… erm… some way to answering your question!